Finding out you have a cavity is never fun for anyone, but children often take it much more to heart than adults do. Here's some advice on preparing you child for getting a filling, and turning the situation to your child’s future advantage. When they find out that they have a cavity, children often get very upset, and their parents often feel guilty. However, if you approach the situation as a learning experience, it will be less stressful for your child, and can turn out to be positive! Here are a few things you can do to make getting a filling a more positive experience for your child. First of all, stop feeling guilty! Sometimes, in spite of our best efforts, cavities just crop up. It happens. What matters most when a cavity forms is that your child visits the dentist regularly, so that the cavity can be identified by the dentist before it becomes a bigger problem. Finding it early makes it easier to repair. Plus, now you and your child are both aware of which spots in his or her mouth need to be cleaned more carefully during the at-home oral hygiene routine. Depending on the age of your child, the language you use to describe what will happen during the filling procedure will vary. For young children, explain that ‘the dentist is going to clean the sugar bugs out of your tooth,’ and leave it at that. If your child is bit older, explain that the dentist will clean the area out and patch it up, and it won't hurt a bit! If your child is extremely anxious, consider sedation. 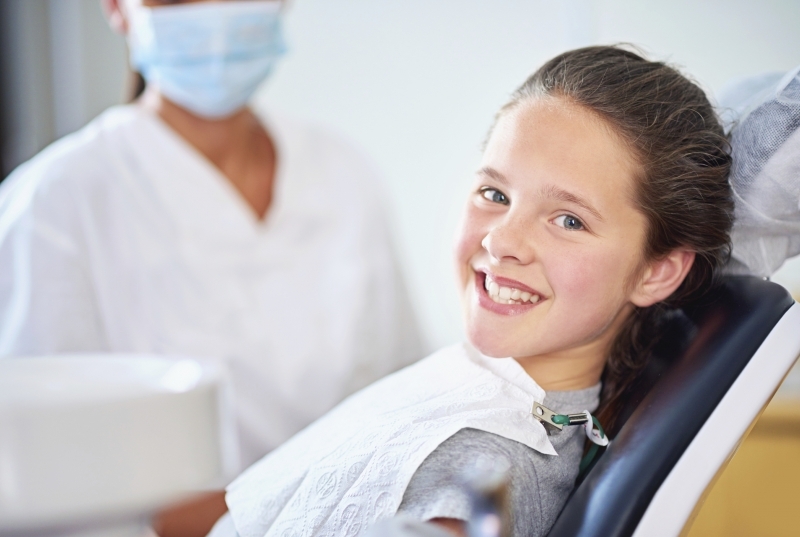 Smile Town Burnaby provides safe and effective sedation options for those children who feel more nervous or afraid than usual regarding their dental procedures. Contact our office to talk with us about whether sedation is right for your child. Use the situation as a learning experience. Now that you know which areas of your child’s oral hygiene routine need some fine tuning, you can both focus more attention on the area to prevent more cavities from forming. Whether it's taking more time to floss carefully, or ensuring that those back molars get an extra thorough brushing, we can help you and your child learn the techniques necessary to avoid future cavities.